Whitley Bay 1sts suffered a 59 run defeat when they took on Blue Flames at home in the Northumberland & Tyneside Division 3 on Saturday. Blue Flames batted first and with Nasir Amin hitting 71 and Amir Riaz on 64 not out the visitors posted 187 all out in 47 overs. Dougie Gregg took 5-49 for Whitley Bay and Shahzad Ahmed 3-34. In reply, the home side were all out for 128 in 46 overs with opener Craig Sample hitting 50 and Chris Wrigley on 46 not out. Amin Faisal was Blue Flames’ most successful bowler with figures of 6-34. 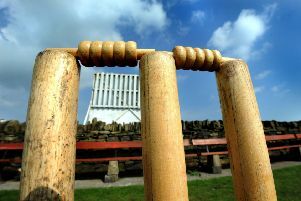 Whitley Bay 2nds won the corresponding 2wnds fixture by a mere three runs. Varun Goyal hit 71 as Bay posted 189 all out, wuith Dilaveiz Khan taking 4-23. Irfan Ullah hit 50 but Flames were all out for 186 in reply with three wickets each for Biren Shah and Darshit Patel.